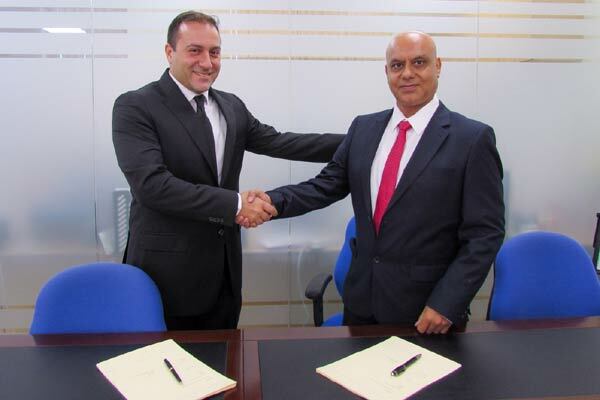 Dubai-based SPC Heat Pipes Industries, a specialist manufacturer and supplier of energy-saving equipment for HVAC (heating, ventilation and air-conditioning) systems, has signed an agreement with Swedish company Heatex AB for the distribution of its air-to-air heat exchangers in the GCC. As per the deal, SPC will offer customers the complete range of commercial and industrial heat exchangers, featuring both plate and rotary models, for energy recovery, heat recovery and thermal management solutions, said a statement from the company. Heatex Select Online, the free performance calculation software for Heatex products, will be accessible locally as well, it stated. Daghan Inal, the sales manager for Europe, Middle East and Africa, at Heatex AB, said: "We are excited to expand our distribution reach and access new customers through SPC. Our energy-saving heat exchangers will add much value to their green building products offering and help customers mitigate the loss of revenue by cutting energy costs." Sudeep Sethi, the general manager, SPC Heat Pipes Industries, said: "As a manufacturing company ourselves, we are impressed with the proprietary technologies and product development capabilities of Heatex. We are confident that it will gain popularity in the GCC’s construction market, which is increasingly adopting energy-efficient equipment." Heatex AB products have been supplied to major OEMs (original equipment manufacturers) globally, including the Middle East, he stated.